Nanyang Girls’ High School has apologised after parents complained that a teacher pulled on the bra straps of several students, causing distress to the students. According to the Chinese daily, the incident occurred during a uniform inspection at the school last Tuesday. A female teacher pulled the bra straps of several students to check if the colour of the bra straps were in line with school regulations. 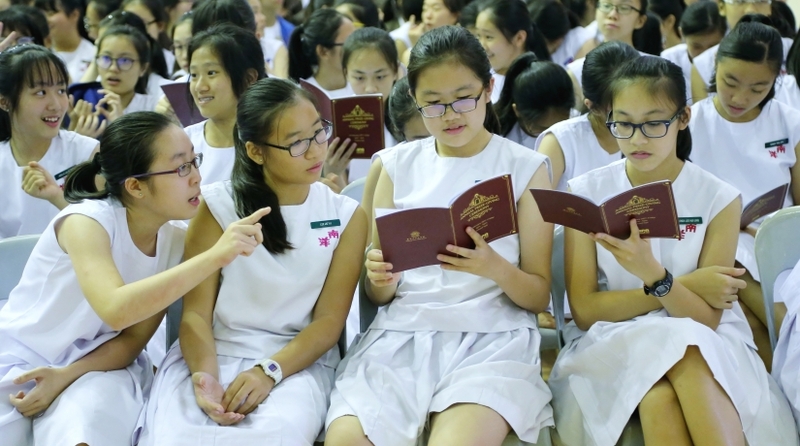 Nanyang Girls’ High School mandates that its students wear white or beige undergarments since their uniforms are white. An unhappy parent contacted the Chinese daily to report the incident. Calling the teacher’s behaviour inappropriate, the parent asserted that the students should not have been subjected to such treatment especially since all the previous checks were done visually. Several students also took to social media and complained about the same teacher who pulled and snapped their one of their bra straps. The students further revealed that those who did not wear undergarments according to the rules were punished by being made to sit outside the classroom. The school administration subsequently acknowledged that the incident caused undue distress to students. In letters that were sent to all parents and guardians, the school expressed regret over the incident and thanked parents for their feedback and patience as they addressed the issue. Revealing that the teacher involved has apologised to the affected students, the school reassured parents that they prioritise the well-being of their students.